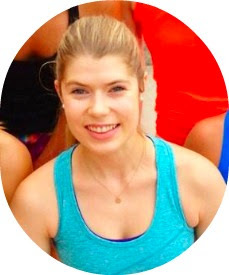 Jen's Best Life: Foodie Penpal Reveal! Quick Note -- I started feeling a lot more human on Wednesday (AKA I had a bit of an appetite) and today I'm feeling much better after resting consistently, so it's off to my externship and back to regular programming. 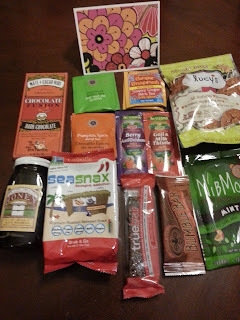 My January foodie penpal, Jillian, sent me an awesome foodie pen pal box that I'm very excited to share with you all! 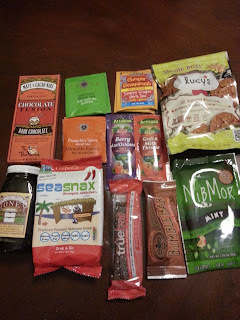 Jillian lives in Connecticut and did a great job of sending me some healthy treats along with some local specialties. I love that! I sent my foodie penpal some speculaas cookies, a Dutch spice cookie, because I was at home in Lynden, WA, which has a large Dutch population and, therefore, a delicious Dutch bakery. There were also some cool nut butters, a delicious chocolate bar, some maple cookies, teas and hot chocolate, and a chocolate honey bar. One thing I love about the Foodie Penpals program is that it exposes me to foods I would normally never eat, like the seaweed snax. While it might not be something I'd buy again, I loved trying it but never would have bought it. This month's package was a total winner. Thanks, Jillian!! This was my second time doing the Foodie Penpals program, and I encourage everyone to try out the program for a month at least because it's a lot of fun. If you like getting packages in the mail filled with food (and who doesn't?? ), and if you like sharing your favorite foods with others, it's such a great way to meet people from across the country. 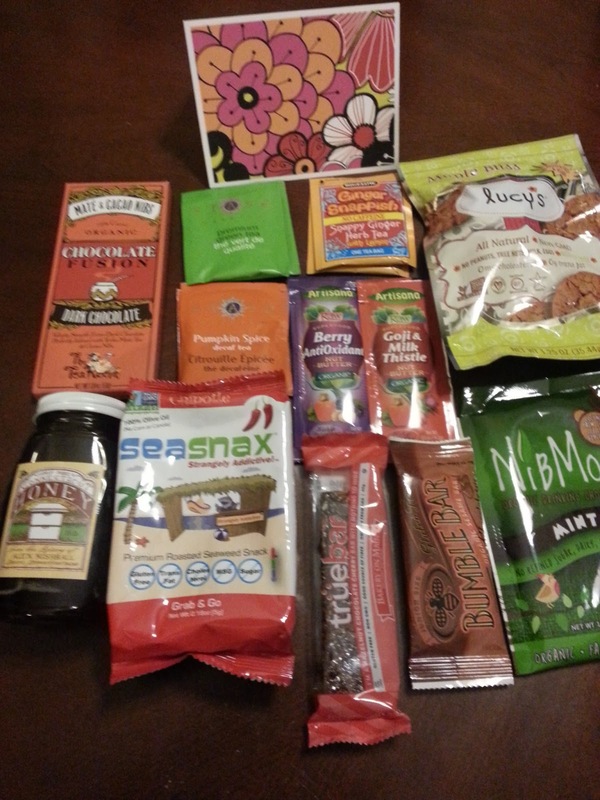 Have you ever participated in foodie penpals? If you did this month, leave a link to your reveal! Isn't it so much fun? Love getting a box full of food in the mail!! What a great box! I've tried those seaweed snax before, and won't again. But it was still fun to try something new! Hah yes, I'm always a fan of trying new things - once! Love your blog name by the way! I've had seaweed snacks exactly once and I'm with ya . . . glad I tried it, probably not going to repeat it. I had an all TJ's box this month so while it was tasty, it was pretty tame. I turned it all into ice cream. Very happy there were no seaweed snacks in the box because seaweed ice cream sounds all kinds of bad. Eww I love ice cream but pretty sure I wouldn't even taste that. TJ's treats turned into ice cream sounds amazing!! What a great program. I am with you, I would never say no to a box full of treats! Glad you are feeling better - being sick is the worst! I am such a baby when not feeling well. You should try it next month, Gianna! It's SO fun. I also get really dramatic when I'm sick and basically proclaim that I'm in the worst pain ever. But when I'm REALLY sick (like I was on Monday) I don't have the energy for that, which is when my family/boyfriend get worried. If I'm not complaining that I'm dying, they're worried haha. That seriously sounds like so much fun. i should totally do it. You should! It's a LOT of fun.